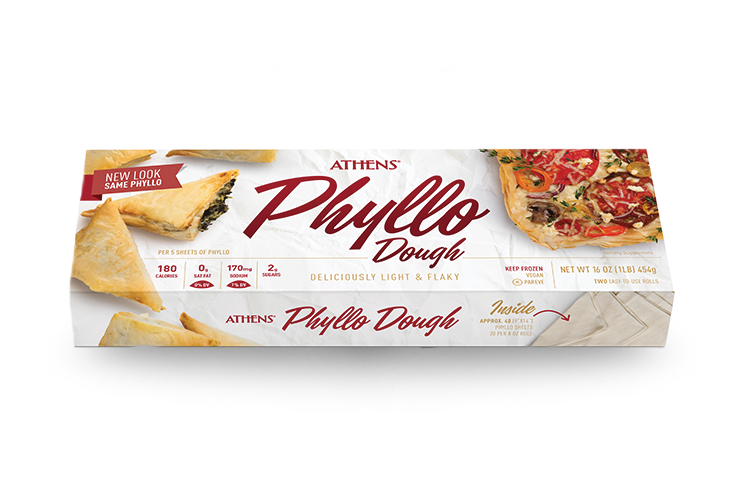 Creating an elegant appetizer doesn’t get much easier than this 10-minutes-or-less recipe featuring seafood salad and Swiss cheese in a crunchy Mini Phyllo Shell. 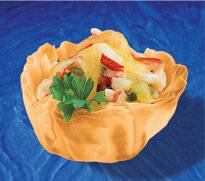 Fill Athens Mini Phyllo Shells with your favorite deli seafood salad. Top with Swiss cheese. Bake in preheated 350° F oven for 5 minutes. 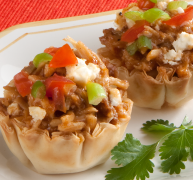 Add a Mexican flair to your next fiesta with these easy appetizers featuring pulled pork and cheese topped with pico de gallo in a Mini Phyllo Shell. This spicy turkey chili gets an added crunchy ending with an edible phyllo bowl.